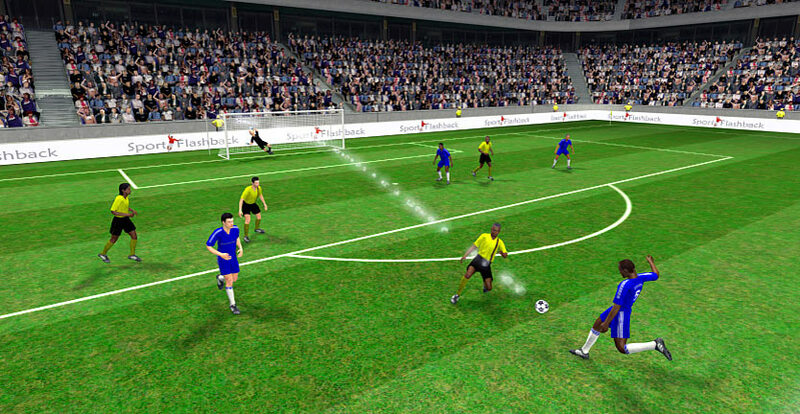 Football is the sport that has been most widely covered by all types of 3D products. There is hardly a competition that has not seen its 3D representation as virtual replays, still images or videos on web sites, television and mobile phones. Thousands of virtual replays have been made for a number of European leagues, championships in Africa, Australia and Americas, UEFA Champions League and Euro Cups, and FIFA World Cups. 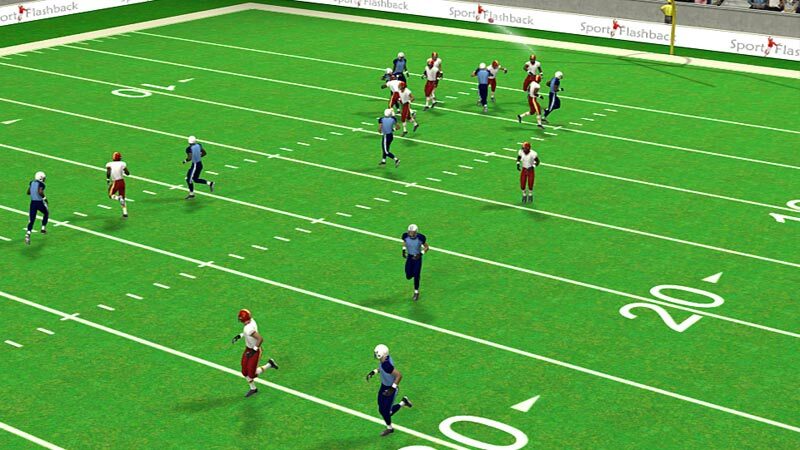 Since 2004, when SportFlashback introduced 3-dimensional virtual replays to the first client - BBC Sport, the demand for 3D visualisation of sport events has grown immensely. The quality and variety of products have been constantly on the increase. Visualisation has been presented in various forms and for a number of purposes. To name a few, amongst the customers who have used and are using various 3D visualisation products for coverage and analysis of football are the BBC, Euro Sport, Sky Sports, Fox Sport, TV5Monde, UMBRO, GrassrootsCoaching, English Premier League, Bundesliga and many more national leagues, individual football clubs and web and TV media. Virtual replays, all sorts of video and still image production covered World Cups 2006, 2010 and 2014, Euro Cups 2008, 2012 and 2016, Champions League and UEFA Cups since 2004 and many more other competitions. Both rugby union and rugby league have been given a thorough coverage with 3-dimentional videos and virtual replays. This is where the popularity of this sport, the desire of the game news and information media to enhance their web sites with innovative means of sport presentation, and SportFlashback's technical and artistic finesse find the common ground. The best South African rugby coverage provider SARugby.com and SportFlashback indulged the fans of the game with virtual replays of the best tries in all matches in the Super Rugby (then Super 14) - the largest rugby union competition in the southern hemisphere - in 2007. Magnificent tries performed by teams from South Africa, Australia and New Zealand were presented in 3D and could be viewed from players perspectives, a variety of preset cameras and with supplementary graphics. A series of virtual replays of the best tries in 2007 World Cup in France were produced for the French MyFreeSport web site and for the winning side SARugby. MyFreeSport also commissioned virtual replays from All Blacks matches (New Zealand) that were published on the Adidas web site. For the Australian branch of Fox Sport SportFlashback produced 2 videos per round in the National Rugby League's 2009-10 season, continuing in 2010-2011 season. One-minute-long 3D analytic videos illustrate key actions with various effects such as changing the viewing angle and closing up in a freeze-frame and extra graphics. As well as other means of sports visualisation made by SportFlashback, ice hockey 3D videos and virtual replays are lifelike and engaging. Every detail such as the quality of the ice, shadows, reflections, skates gliding on the ice, players' gear, equipment, movements, actions - all is scrupulously elaborated to achieve the strongest resemblance possible. A demo video of Pittsburg Penguins' Kris Letang's goal assisted by Sidney Crosby in an NHL match against Carolina Hurricanes in the 2008-09 season was made for The New York Times. This commenced the development of visualisation of ice hockey. 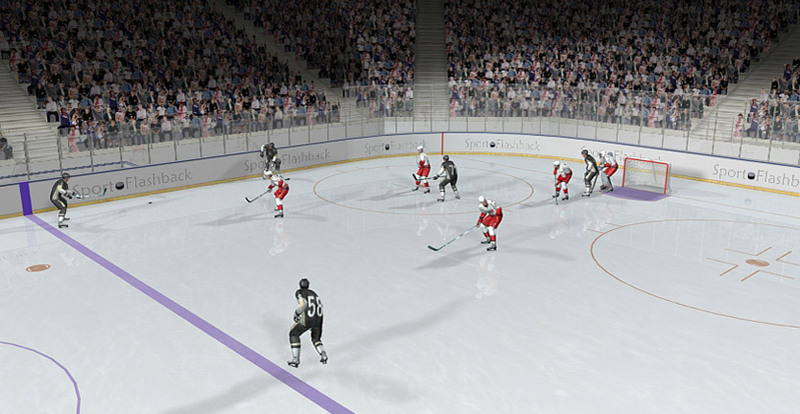 Virtual replays found their audience in Switzerland during the IIHF World Championship in 2009. The most widely read and visited Swiss web edition Blick.ch published three virtual replays of goals and other observable incidents per match with Switzerland playing in preliminary and qualification rounds and three replays per each semi-final and final matches. Coverage of the hockey best moments in 3D was introduced to the site visitors on the eve of the launch of the tournament and the replays of the World Championship games appeared on the site in the morning following the match day. All types of visualisation of sports by SportFlashback are made with maximum precision in every detail from the whole stadium to petty elements of players' gear and from a barely perceptible body movement to the harmonious motion of a team multitude. 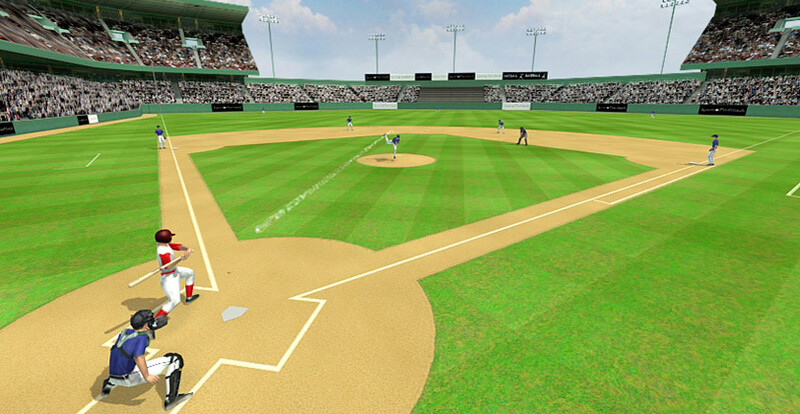 A 3D video clip of a typical play in baseball reconstructs the whole sequence of actions - the pitch, the swing and hit, the run, and the safe advance to the first base. 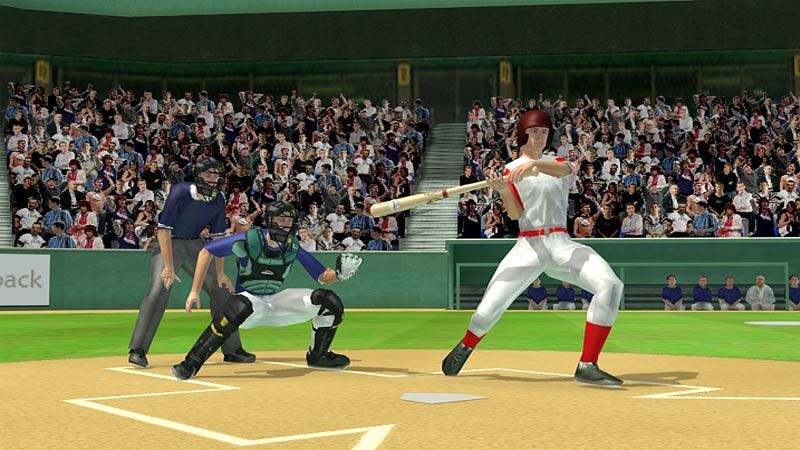 It also depicts some trifles that in the end recreate lifelike resemblance to a real video footage: 3D figures imitate subtle gestures and body adjustments while the catcher squats, the pitcher prepars to pitch or the batter to swing, the umpires signal "play ball" and "safe" etc. All these little nuances make the 3D animation a realistic and full-fledged scene. 3D animation can be used as a very effective and efficient analytical tool in the game of baseball as well as the means of attraction of the new audiences. Supplied with an interactive interface it enables the user to select the most convenient camera, change or adjust an angle, zoom in on a particular player or part of the diamond, see the scene from players' points of view and review the scene as many times as they wish. Plays that may be of a particular interest to the audience can be produced as virtual replays. Entertaining or analytical videos with some explanatory graphics can be used both by TV and web commentators. Following the successful experience of cricket online webcasting baseball can be delivered to site haunters in a play-by-play mode as the real match goes. 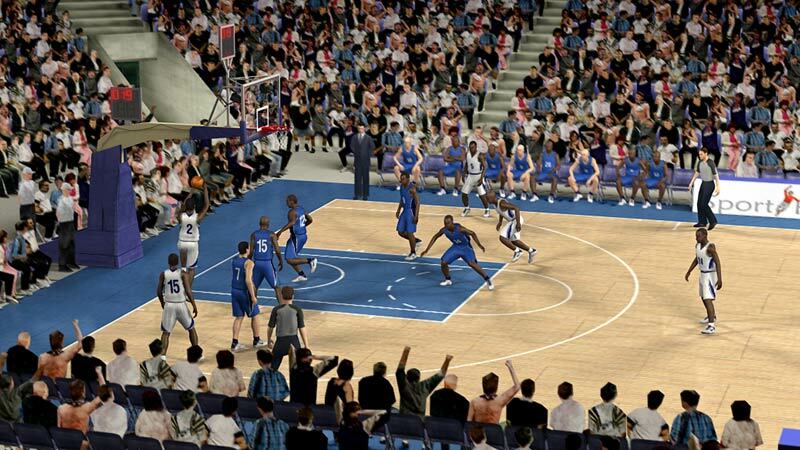 Anyone who is into this game will find 3D animated basketball as exciting and stirring as a TV broadcast or a camera shot video. The principal difference is, once the tracks of the players and the ball are laid, a number of virtual cameras can be set to provide all-embracing views. With an interactive interface the viewer can select a camera and use navigation buttons to "wander" around the court and even virtually participate in the game when choosing any player's perspective. Compared to other 3D developers SportFlashback creators never neglect detailing and, on the contrary, pursue the most realistic visualisation. The promotional video demonstrates how close to reality 3-dimensional animation can reach. At times it is difficult to tell whether it is a real video or animated dummies. Such effects as the background audience gliding behind the transparent backboard, the counting down clock, chaotically rotating ball, quivering net - all are integral parts of the quality product. 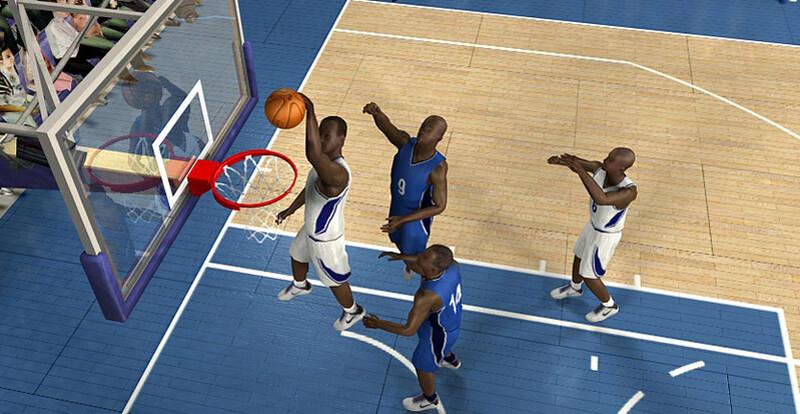 Basketball 3D animated videos or virtual replays can be of great use for detailed analysis of a play, tactics and strategies employed by some particular teams or players. They can also enrich the web site's picturesque collection of the most beautiful shoots performed by famous basketball stars. Specially developed to be launched by the 2006-07 Ashes series in Australia a webcasting application, published on the biggest cricket-dedicated site Cricinfo, served as a great visual enhancement for the coverage of all significant matches for three following years. The application enabled cricket fans unable to watch the ongoing match on TV but who are online on the Internet to see exactly what's going on at the ground with only a small time lag of about 1 minute. 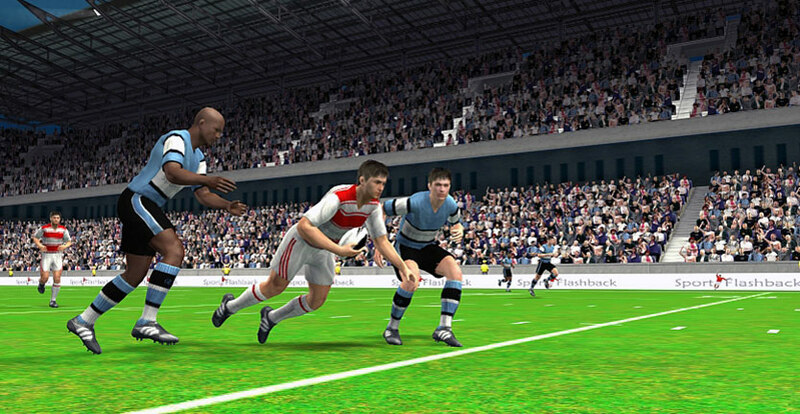 With this short delay as the ball was played in the real match it was recreated on the user's computer in 3D. 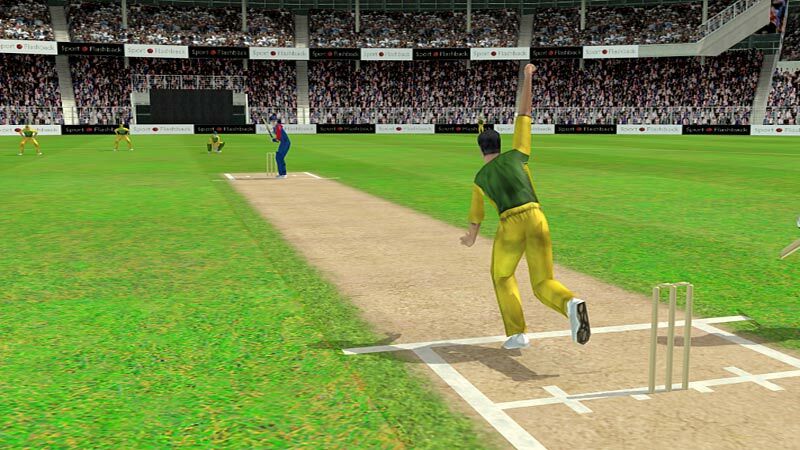 The animation provides for every type of bowling, every type of shot, every method of dismissal, every umpire's signal. It shows the batsmen's runs, fall of wickets, appeals and celebrations. 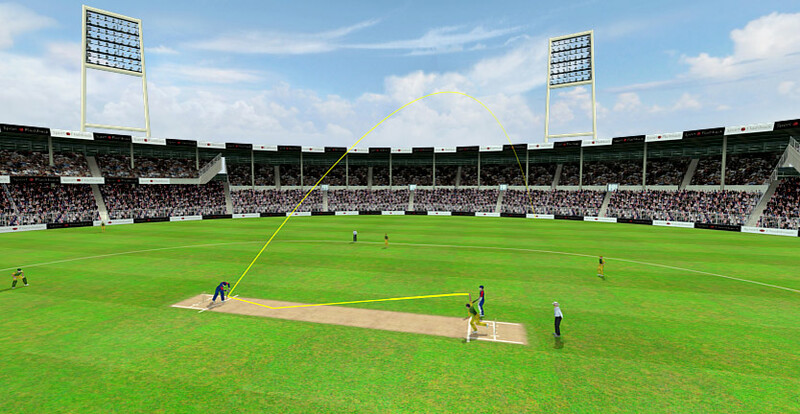 The application is designed to visualise Test matches, ODIs and Twenty20 matches. Although the precision of visualisation of details, when compared to the TV broadcast, may not be as high, the webcast definitely has a number of advantages. With this unique visualisation implement Cricinfo covered all international Test matches, ODIs and Twenty20 matches in the World Championships, Ashes series, Indian Premier League and other significant series and tournaments. Along with webcasting coverage SportFlashback produced virtual replays of the most memorable balls from each play day of each Test match of the 2006-07 Ashes series which were published daily on Cricinfo site. 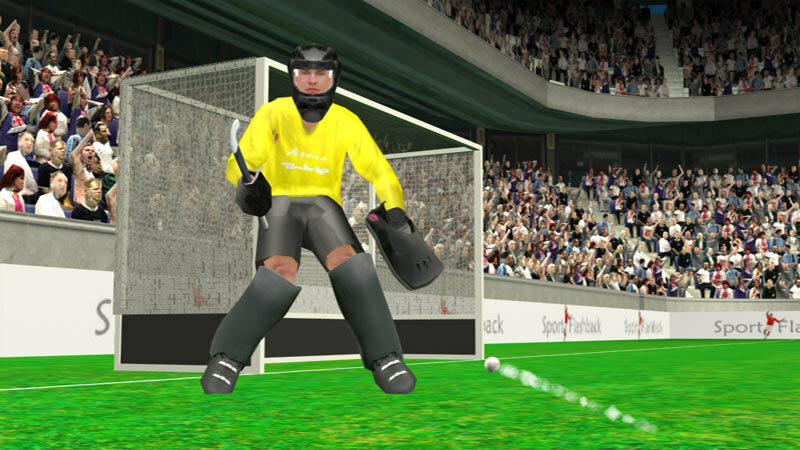 Field hockey is another team sport that is well presentable in a form of 3D virtual replays or video clips. Tactical plays and set pieces, goals and scoring chances, disputable and obvious situations, when reconstructed with 3D animated models, enhanced with vivid graphics and virtually shot from any point of view, can be used by web sites and TV channels for analytical and entertaining purposes. Development of visualisation of field hockey, which includes 3D modelling of players, stadiums, gear and other equipment, creation of the library of new animations and other accompanying this process work was intended for further creation of both virtual replays and rendered 3D videos. Field hockey enlarged the number of sports that SportFlashback had taken up. This product was developed especially for the Men's and Women's EuroHockey Nations Championships 2009 in The Netherlands. 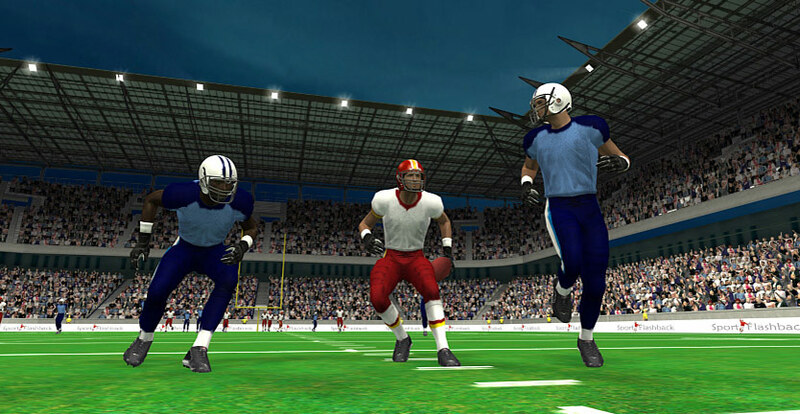 American football has been presented to the fans of this sport in a form of 3D virtual replays and analytic videos. Virtual replays off all the New England Patriots' games in the 2007-08 NFL season were requested by the local media Boston.com. 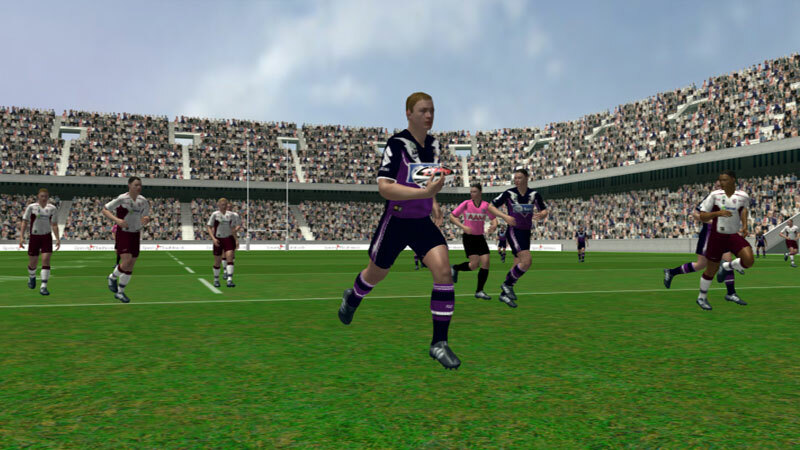 As with virtual replays in other sports an interactive interface enables the viewer to change cameras, angles, choose players' perspectives and switch on some explanatory graphics. 3D visualisations of American football were also commissioned by two US mass media leaders - The New York Times and The Washington Post. Starting with sixteen 3D animated video clips illustrating the distinctive features typical for each of the 16 NFL teams coming out to the playoffs in 2008-09 season for The New York Times, the project continued with the production of a series of similar animated videos specifying tactical plays of all Washington Redskins' matches in the 2009-2010 and 2010-11 seasons for The Washington Post. Both projects included analytic videos that showed a characteristic play from three different angles - a general view from a TV camera, an aerial view and a key player's perspective. The videos for The New York Times were used as a tool for explaining tactics, stratagems and feints performed by the teams playing in NFL playoffs. The videos were published on the site with extra graphics applied to the videos by sports analysts. The Washington Post has been ordering analytic videos of some characteristic plays performed by Redskins which are published on the site prior to a game. In this way their analysts illustrate the tactics the team use when playing one or another opponent and are likely to employ in the oncoming match. TV view mode with the difference that the user is able to be the virtual camera operator and choose the view between the general shot, aerial view, cameras set on the car and a lot more options. The demo video illustrates the look of a 3D race; right click provides options to change view points, speed etc. 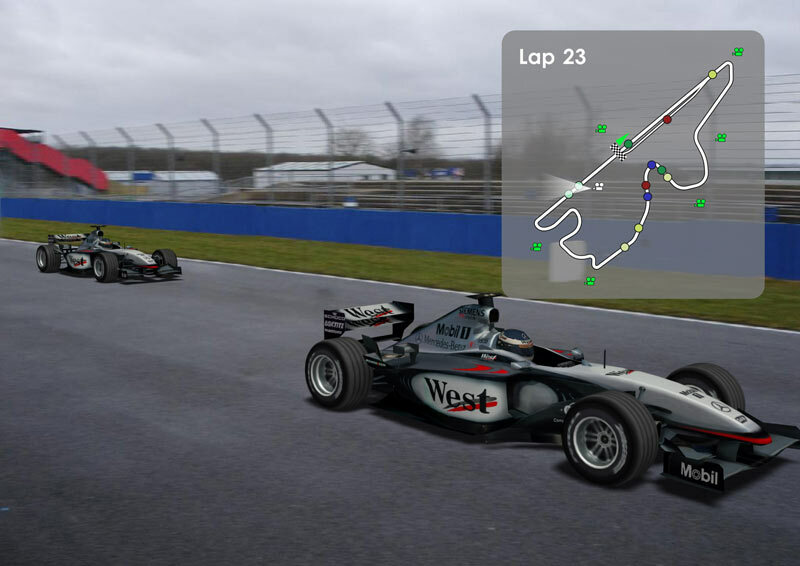 Analysis mode allows comparing various drivers' performances, particular driver's current lap and their best laps, distances between cars and other analytical features. Special features mode demonstrates dynamic fluctuations in longitudinal and centrifugal acceleration and deceleration, g-forces, drivers' factors such as blood pressure and pulse, diagrams showing drivers' gas and brake pedals use, all changing in dynamics. Visualisation of statistical data regarding the performance of particular drivers in other races. 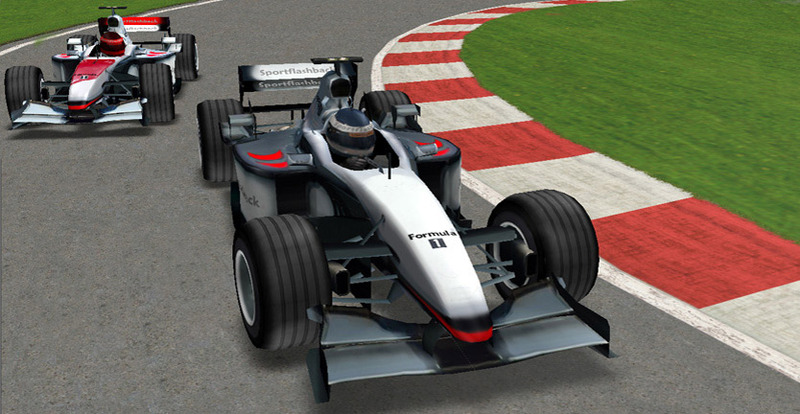 3D visualisation of Formula 1 races can be a great tool for analysis on live or post-race TV or web reportages as well as in a form of analytical videos with lots of special effects and graphics. One of the oldest sports that has been practised for millennia world-wide is now represented in 3D in some of our products. 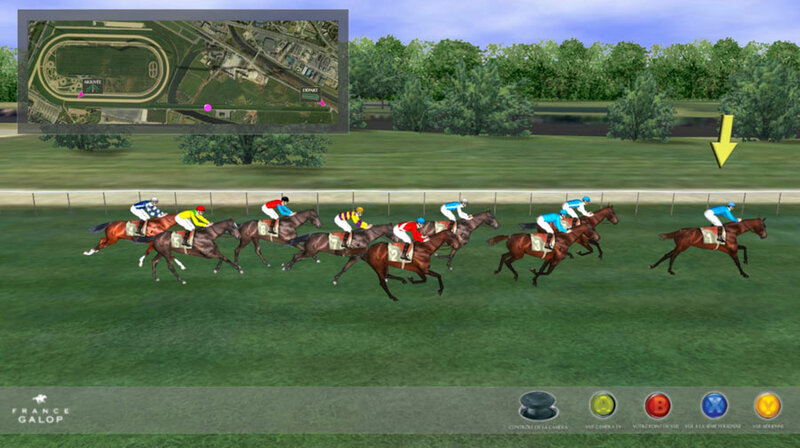 Initial approach was made by France Galop who ordered an off-line computer game that was installed at one of the French hippodromes. The game proved to be very popular with both kids and adults so we developed an extended web application and rendered 3D video representation of some particular races. 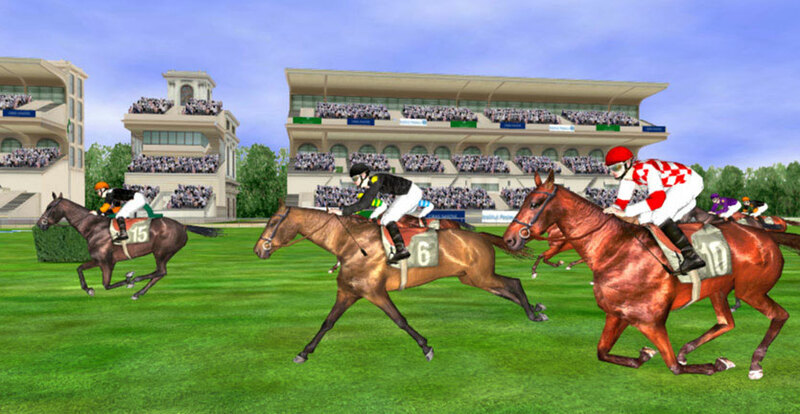 The game represented four most famous races in France - Grand Prix de Diane, Grand Steeple-chase de Paris, Prix du Jockey Club and Prix de l'Arc de Triomphe. To visualise this equestrian sport in 3D we created four different models of hippodromes, horses, jockeys and a brand new library of animations that reproduce gallop, slow pace, jumping obstacles, all possible movements of horses and jockeys. All types of visualisation provide a great number of clickable sponsors' advertisements in various areas round the hippodrome and racecourse, and dynamically appearing in pop-ups or bubbles. The animation very closely achieves lifelikeness of real horseracing and provides a view from a number of virtual cameras scattered all over the race track, aerial view and jockeys' perspectives. The presence effect is achieved by the accompanying sound of hoof clatter and cheering crowd, dynamically nearing or receding as the user changes cameras.